My family has stayed at Whispering Pines Condos for Several Years and in this particular unit at least 3 times. This unit is very well maintained and works great for us. I would recommend this unit and facility to anyone who would like a pleasant family stay. 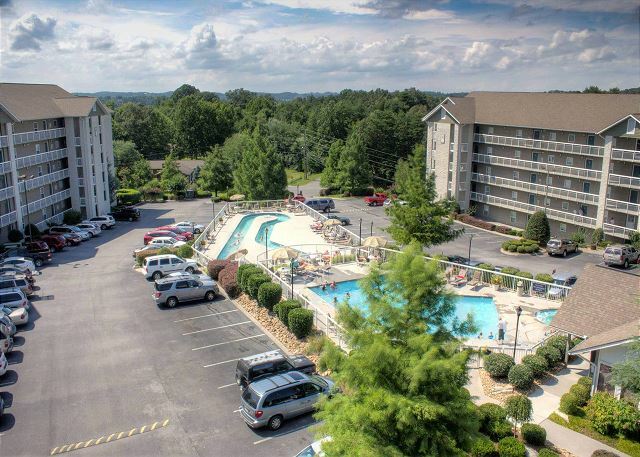 This entire complex is very family friendly with a relaxed quiet atmosphere. Easy check in. Nice location. Nice accommodations. Thank you so much for staying with us at Whispering Pines! We're so glad to hear that you enjoyed the location and your condo. We hope that you'll come and stay with us again soon! This was our second year in a row to stay in this condo and we love it! Close to anywhere you want to go. This condo was updated and looks amazing!! Staff are very helpful and easy to contact. We plan on staying again this fall and or next spring ! Enjoy your stay!!!!! Excellent! Thank you all for staying with us and being a loyal guest! We appreciate you! We are happy you all enjoyed your stay and we look forward to seeing you all again soon! Overall everything was great. A few suggestions as to have ceiling fans and mirrors in bedrooms. Also handicap rails needed near the jet tub would make it easier to get out. Thank you for choosing Whispering Pines for your time away with friends. We hope that you made great memories while staying with us. We will send your suggestions to the condo owner. Thank you for your patronage and we welcome you to stay with us again soon. It was a very nice, clean and well appointed condo! We were on a girls trip! It was so much fun. The great thing was being able to return to our beautiful Condo after a day of running around in the beautiful Pigeon Forge and Gatlinburg area. This is definitely a place we will all return to visit. The wonder family atmosphere is fantastic! We appreciate your fantastic review and comments and that you plan to return. We are glad that you girls had lots of fun shopping and sightseeing. Our stay at Whispering Pines Resort in Pigeon Forge, TN, was great! 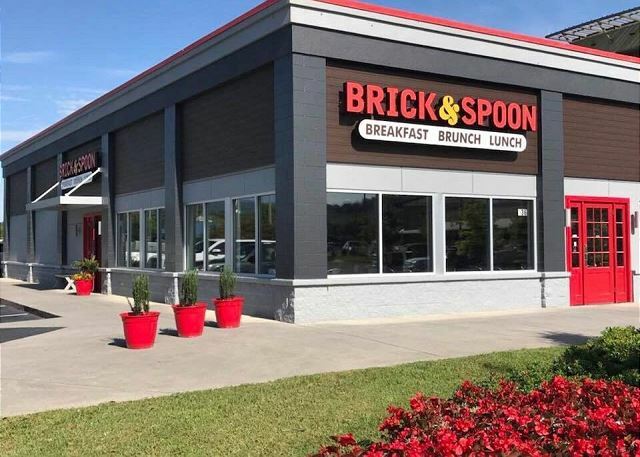 The facilities were clean, the staff was courteous and respectful, and the location was nice, being just off the main strip. I especially liked the free tickets to area attractions, as that saved us around $70 overall. I highly recommend using this resort for anyone. Even my mother-in-law, who is very picky, liked the resort! Excellent! Thank you for taking the time to send us your thoughts and we are so happy you all enjoyed your time here! We work hard to make sure everyone enjoys there time with us! We love Happy memories! Awesome! Glad you had fun staying with us during the Rod Run! Come back and see us again soon! 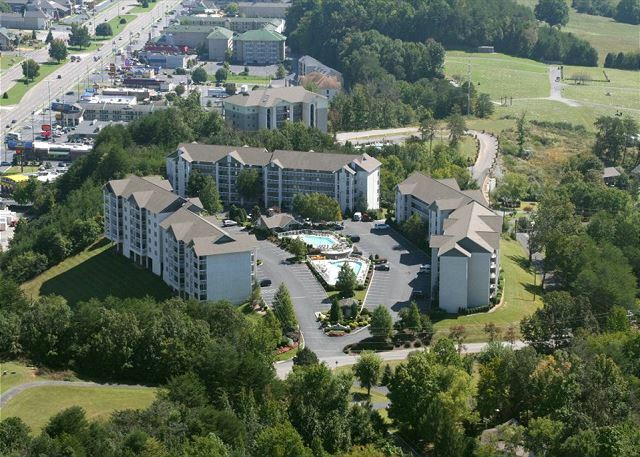 Thank you for vacationing with us at Whispering Pines Condos in Pigeon Forge, TN. We appreciate your excellent review and comment and look forward to your return. Wonderful facility, perfect location and can't wait to book another vacation stay!!! Thank you for staying and thank you for the wonderful comments! We look forward to having you back in the future. Really enjoyed our stay. The location of the condo is great and it suited my family's needs wonderful. My kids enjoyed the pools and lazy river. The condo is clean and well maintained. This was our second stay here and we will visit again. Thank you for choosing Whispering Pines for your recent getaway to the Pigeon Forge area. We are pleased to hear that you enjoyed condo 114 and that it suited all your needs. We appreciate your wonderful review and look forward to seeing you again soon. Our vacation was wonderful, the condo had everything we needed and it's located close to all the attractions. Thank you for choosing Whispering Pines Resort for your 2017 getaway to Pigeon Forge. We are so excited to hear that you enjoyed your experience with us as well as our convenient location. We appreciate your feedback and hope to see you again soon. This is the second time we have stayed at this location and we love it. We have stayed at several different locations in the area and this is by far our favorite. Great! Thank you so much for staying with us and for the kind words! We hope you will spend time with us again next time you are in town! We enjoyed our stay but the back bedroom did not have any heat. It was very cold. The TV remotes were hard to operate. Very confusing. Thank you for your recent stay with us at Whispering Pines. Please always let the front desk know of any issues that you may encounter. We are always here to ensure you have a great getaway experience. We will have our maintenance department check the heat issue immediately as well as the remotes. Thank you for your feedback and we hope to see you again soon! Had a great condo. Always enjoy staying here. Thank you! Come back again anytime! It was wonderful I have stayed several times and continue to go back. It is convenient to everything that I like to do or just relax. Thank you so much for being a loyal guest! Come back anytime! Thank you for choosing Whispering Pines for your recent stay in Pigeon Forge. We are happy that you enjoyed a quiet stay and our convenient location. We look forward to seeing you again! Everything was great. Had no problem whatsoever with the condo. Had a little problem when checking in. We had 3 autos for parking. Two in the regular parking lot and 1 in the overflow. When we checked in and got into our room, we discovered we only had one regular parking permit and one overflow. I went back to the desk and told her the problem and she insisted she had given it to us. We had no reason to lie about not receiving the permit as we only had 3 cars total. We are elderly and not used to being called liars. She did issue another one and I told her if I happen to find the one she "issued", I would bring it back. Needless to say, we never did find the "other" permit. Other than that, everything was perfect. Thank you so much for staying with us and we are glad everything was great! Sorry for the parking pass issue, we love our guests and some times we make mistakes, this will be addressed with staff. Thank you so much for staying with us! We always strive to make sure everyone enjoys there stay! Please let us know any time you have any issues during your stay and we will do our best to make sure you enjoy it! Thank you for being a loyal guest we appreciate you! Great! Glad you enjoyed it! Looking forward to seeing you back with us soon! This condo really felt like home away from home. The accommodations were spacious, very clean, and in a prime location next to town. When not out enjoying the Pigeon Firge and Gatlinburg area, we loved just lounging by the pool and lazy river. 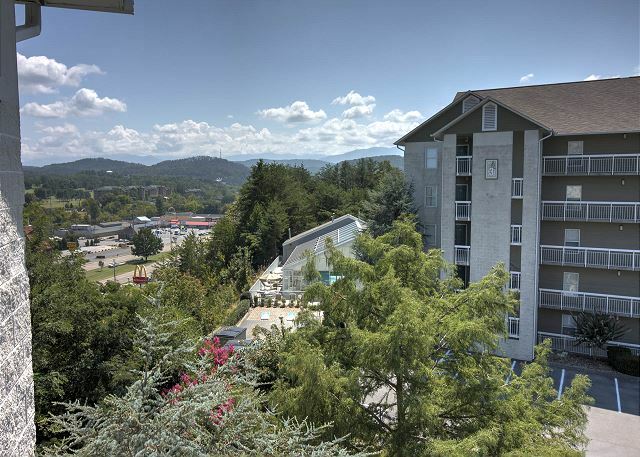 Overall, I highly recommend this condo to anybody wanting to visit the Great Smokey Mountains! We are thrilled to hear you enjoyed your time in Pigeon Forge and at Whispering Pines. Thank you so much for your kind comments and for staying with us! See you again soon, hopefully. We have stayed here before and will continue to do so in any future travels to Pigeon Forge!!! Love the condo!!!! Thank you for always coming back and staying with us! We truly appreciate you. We are glad that you had a nice stay with us at Whispering Pines Condos in Pigeon Forge, TN, and will make plans to return. Very clean, very caring staff. Front Desk personnel and our excellent Housekeeping Staff appreciates your comments and your visit. We hope that you will make plans to come visit us, again. Our reservation was handled excellently. We were checked in quickly. Our condo was really nice. We had a small problem with the refrigerator but it was handled within minutes. Everything was clean and well maintained. We really enjoyed our stay and would go back any time. Thank you so much for telling us about your stay with us! We appreciate your business and kind words. Happy to hear the issue with the refrigerator was handled promptly and that the check-in process was quick and painless. We are always looking for ways to make check-in as easy as possible! Again, thanks for staying with us and we hope to have you back on your next trip to Pigeon Forge. My friends and I really loved this condo. Everything we needed was there. Big spacious rooms. Very comfortable beds. I slept better than I had in a long time. Clean and tidy. We come to PF once or twice a year, this will definitely be our go to place. Thank you for allowing us to use your condo. Staff was very pleasant and helpful. Thank you for staying with us at Whispering Pines. Wow, perfect stay, that is music to our ears. We are so pleased that you had a great experience while staying with us. We appreciate your kind words regarding our staff. Thank you for your wonderful review and we look forward to seeing you again! Thank you for staying with us, come back again soon! Went with this condo group because the free tickets seened like a great perk. Don't be mislead. You get ONE ticket per attraction per day. To get all 3 aquarium tickets promised us we would have to visit aquarium 3 days! Thank you for staying with us! We apologize for any confusion on the "free" attraction tickets we offer. We do wish we could purchase tickets for every person that stays with us, but that is just not something that can be done. We pay for these complimentary tickets that we offer our guests. We know how expensive a vacation can become which is why we know that every little bit of savings is helpful. We feel like all of our verbage on the free tickets is very clear, but if you have any suggestions please let us know. The last thing we want is for our guests to be unhappy. You can view all the information pertaining our tickets here. / Again, we are sorry if you felt misled, that is absolutely not our intention. We do hope you enjoyed your vacation to Pigeon Forge and made many memories with your family! Thank you for staying with us! We apologize for any confusion on the "free" attraction tickets we offer. We do wish we could purchase tickets for every person that stays with us, but that is just not something that can be done. We pay for these complimentary tickets that we offer our guests. We know how expensive a vacation can become which is why we know that every little bit of savings is helpful. We feel like all of our verbage on the free tickets is very clear, but if you have any suggestions please let us know. The last thing we want is for our guests to be unhappy. You can view all the information pertaining our tickets on our website. Again, we are sorry if you felt misled, that is absolutely not our intention. 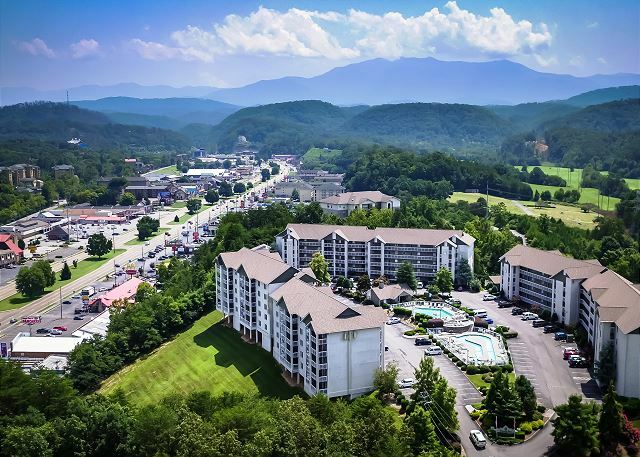 We do hope you enjoyed your vacation to Pigeon Forge and made many memories with your family! Awesome! Had a great time with the family! We are super excited to hear that you had an awesome stay with us. We hope that you made many life time memories with your family while visiting. Thank you for your wonderful review and we look forward to seeing you again. Location is excellent. Pool was well maintained. Treadmill was broke the entire week so I had to use elliptical machine. Wifi would not stream videos. Talked to management and they said the couldn't provide everyone that much internet. Thank you for your review and your vacationing with us at Whispering Pines Condos in Pigeon Forge, TN. We had a great time! The unit was clean and nice. Thank you for your review. Glad you had a great time. We had a very nice experience while staying at Whispering Pines. The description given was accurate, the location and layout were nice as well. The entire property and specifically our condo was clean and properly maintained. We received good customer service before, during and after our stay. We would definitely recommend Whispering Pines to others. Thank you, thank you, thank you for your fantastic comments regarding Whispering Pines unit 114, the property and our staff. We look forward to your return. There were four of us. We stayed for three nights. We hope you enjoyed your stay and will plan to visit us again. Great stay, one issue with hot water, however it was resolved very quickly. Thank you for you feedback! We are happy to hear you enjoyed your stay with us at Whispering Pines condo 114. We appreciate your patronage and look forward to your next stay with us! This was our 2nd stay at Whispering Pines and both were equally enjoyable. It's such a clean, quiet place to stay. Located on a hilltop above Pigeon Forge, it seems hidden and isolated from the ruckus of the commercial streets down below. Yet, you are literally walking distance from restaurants and stores. I stayed here with my wife, teenage daughter and teenage son. We rent the 3 bedroom condo. It's very comfortable and roomy. We vacation every year and have stayed in many different condos throughout the states and I can honestly say that Whispering Pines condos has a nice "home" feel to it. I feel the same way about Gatlinburg and the Smokey Mountains National Park. We love coming to this area and we love staying at Whispering Pines Condos. Thank you so much for your feedback. We are so happy to hear you enjoyed your stay with us at Whispering Pines! We strive to make sure every guest is comfortable during their stay. We appreciate your business and look forward to seeing you next time! really great condo with a good view.very clean and well maintained.Everything I expected and more.have stayed here multiple times,and never been disappointed.thanks to all at Resort Properties..
We are so happy to hear you enjoyed your stay with us and found everything to be satisfactory. We appreciate your business so much and hope you return soon! Our family was able to get away for a couple of nights for a little family time. 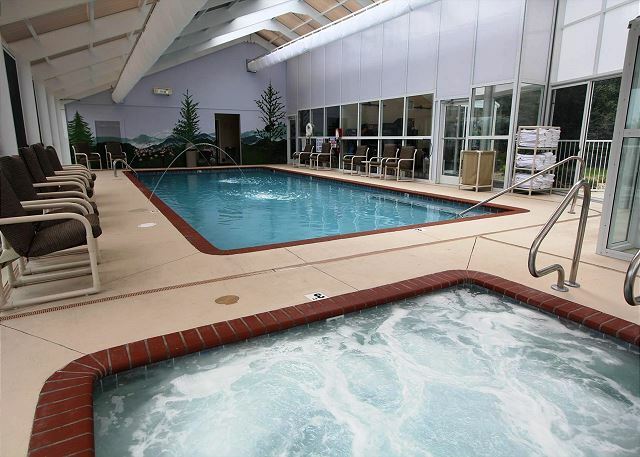 Accommodations were extremely nice and the grandkids really enjoyed the indoor pool. Will definitely stay here again! Those little family trips are the best! Glad you and the grandchildren were able to enjoy the indoor pool facility! Thanks for choosing to stay with us and we look forward to having you visit in the future! We really enjoyed our stay at Whispering Pines. The rooms were great. They were really large & they had everything you could possibly need! We will definitely stay here again! The owners of our condos take such great care of their condos and keep them well stocked! We are thrilled to hear you had an enjoyable stay with us at Whispering Pines. We appreciate you so much. Please come visit again! This was a weekend getaway before my kids started back to school. It was relaxing, clean, and the staff was wonderful!!! We will be back!! Glad you were able to get in a last minute trip before the children headed back to school. We appreciate your business so much and are happy to hear you enjoyed the condo and property! We will be looking for you in the future! Our stay at the WP was in a good location, all areas of the property were well maintained and very clean. The check-in process was easy and good customer service in booking the reservation. It is a good place for children that love to swim. There are three swimming areas to choose from.We look forward to staying at WP in the future. Thank you so much for your wonderful review of your stay in condo 114. We are happy to hear that you found your condo to be clean, well maintained and that our check in process was easy. We look forward to seeing you again soon. Called the resort several times before we arrived with different questions, they were always very pleasant and helpful. Loved the pool and lazy river, helped keep the pre-teens occupied in between activities. We also enjoyed the fireworks at Dollywood from our balconies. We would definiatly stay here again. Thanks for staying with us Patricia! We certainly hope you and your family choose to stay with us again! Had a great stay as always at Whispering Pines. Rita at check in was great. Will be back soon. Terrific! Glad you enjoyed your stay Comilla!